Happy New Year! Here's a Little Motivation in the Form of Shameless Self-Promotion! Home › Goals, Life › Happy New Year! Here’s a Little Motivation in the Form of Shameless Self-Promotion! It’s a nice, pretty New Year. I feel pretty good about this one, too. Which is great. Because for the last couple of years I’ve been more blegh at the outset of a new year than anything else. But I feel pretty good about this coming year. I’ve got an awesome goal to work less in the coming year, and I really think that I’ve learned a lot about goal-setting, making things work, and being happy with who you are. It’s funny how this sort of thing runs in cycles. Especially since “who you are” is so often a work in progress. So I guess I’m actually learning how to enjoy the process of becoming someone who is (hopefully) better than she used to be. What’s Your Big Money Goal for the New Year? That should get you started with a brand new year. While most of the posts focus on money (of course), the principles can be applied to other things as well. All the best to you and yours. 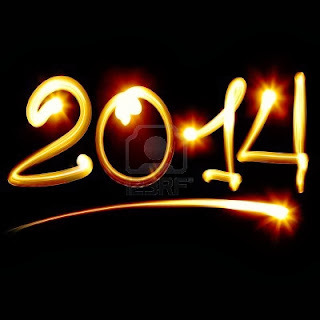 I hope you have a very happy and prosperous 2014! 2 Responses to Happy New Year! Here’s a Little Motivation in the Form of Shameless Self-Promotion! I followed the link to here from your Planting Money Seeds blog and enjoyed perusing some your posts. Good to see your not hiding your liberal Mormon light under a bushel. I have found it odd since moving out west a decade ago, how many members assume everyone else has the same Ezra Taft Benson-like political identity. There is a real lack of social intelligence at times, and frankly that insensitivity is why so many non-members feel ostracized when living in Utah/Idaho. Happy New Year and good luck with your goals this year. Thanks, J.D.! It’s something that I’m starting to “come out” with more, and something that I’m more comfortable with. It’s kind of a double-whammy to be liberal because where I live there aren’t a lot of us, and the PF blogosphere seems weighted toward the conservative. I have a lot of conservative friends, and I grew up in a conservative household, and some of them are surprised when the talk turns to politics because there are so many assumptions going on.